Hi friends! I’ve already posted two posts about bookish subscription boxes (see them here and here). All the boxes in those two blog posts are bookish subscription boxes for adults. This post is Part Three, and it’s all about the kids! As readers, we know how much awesomeness books can bring into our lives. And, research shows that people who read actually live longer. Research also shows that kids who read or are read to have better brain development than kids who don’t read or are not read to. I love kids books and I have the cutest little nephew (and I am the self-proclaimed provider of his personal library). So, I thought it very fitting to create a post sharing with you about all the wonderful bookish subscription options for your kidlets. All of these subscriptions are built on the goal to increase literacy and build up an enjoyment of reading through family reading activities. How wonderful is that? All details about these boxes are found on their respective websites. All prices and shipping costs are for the lowest cost month-to-month option. Many of the services offer three, six, and twelve month prices. Some offer multi-child boxes too. I have not been sponsored in any way to talk about them. I just think they are really cool and have had a ton of fun reading all about them and drooling over pictures of what came in each box. Lillypost is an adorable monthly subscription box that contains 4 or 5 children’s books plus stickers and other goodies. Items are wrapped for extra fun. Subscribers can choose a Board Book Box for kids 0-2 years or a Picture Book Box for kids 3+. Lillypost boxes are $37.00 CAD per month with free shipping. The September Board Book Box from Lillypost. Bookboks is a personalized book service. 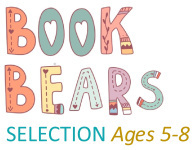 Each subscriber is asked about their child’s preferences and books are selected based on what the folks at Bookboks think the child will like best. Two pre-loved books are sent each month. Bookboks are $15.99 USD per month (plus $7.00 shipping to Canada). Bookroo is a curated and wrapped monthly box that contains 3 board books or 2 picture books. Their mission is to make reading to your child easier by making it easy to get books. No need to tow a tired toddler to the bookstore, Bookroo has your back! Bookroo costs $17.00 USD per month (plus $16.00 USD shipping to Canada). Bookroo box, photo from @bookroo_love on Instagram. Reading Bug Box delivers hand-picked, award-winning books each month. Each box has 2-4 books chosen for your child’s age and interest, along with something fun like a gift, game or craft that relates to the books, and a personalized note with more ideas. The Reading Bug is a family-owned bookstore in California. Reading Bug boxes start at $27.99 USD (plus $24 shipping to Canada). A Reading Bug Box. Photo from @readingbugbox on Instagram. My First Reading Club is a monthly subscription box that contains three books for the kids and a gift for mom! You can choose from books for babies, 2-3 year olds and 4-5 year olds. My First Reading Club subscriptions start at $9.99 USD per month (plus $5.00 shipping to the contiguous USA. They do not ship to Canada). Litjoy Crate has three box types – board books, picture books, and young adult books! Their monthly boxes contain a new release book and 2-3 bookish items. Children’s boxes also contain reading tips for parents to help connect with their kids and promote literacy. Litjoy Crate subscriptions start at $29.99 USD (plus $14.99 shipping to Canada). A LitJoy Night Night Board Book Crate. Stemreads is a monthly subscription box for kids 4-8. The books and activities included are all about science, technology, engineering and math (the STEM subjects). These boxes are about fun and adventure and helping kids see how awesome STEM subjects can be. This is a brand new subscription box… and prices are not yet listed. I’m so tempted to buy one of these for my nephew – but the cost is a little prohibitive for some of them. I’ve also put out the hints to my friends that when I have a kid one day, these are on my wish list for baby shower gifts. Bookmail – there are few things more fabulous! Do you subscribe to any of these bookish subscription boxes? Would something like these make reading with the kids in your life easier?